We are happy to announce we have just released the long-awaited Authors extension which will make managing user profiles a lot easier. You will no longer need any third party plugins, just install Authors and allow users to manage their account in the site frontend. This is so far the biggest project we were working on this year. Not only because the new extension has a lot of new functionalities but also because it flawlessly integrates with other WPAdverts extensions. Basically allows users to register as authors without ever visiting the wp-admin panel. You can also select not put this shortcode on site, which will allow only the administrator to create new Authors. In the configuration panel, you can manage the initial profile visibility or allow users to set it themselves while registering. The list of authors can be viewed in a list and grid view, similarly as the [adverts_list] and similarly as the [adverts_list] both layouts are responsive which means they will look great on desktop and on mobile devices. 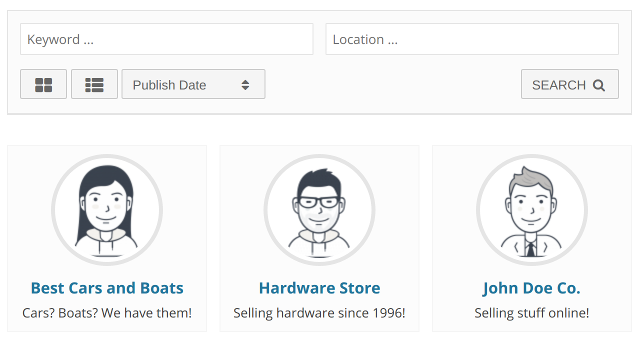 There is also author dashboard page where users can: manage their profile, privacy settings (with GDPR compatibility in mind) and classified ads. Out of box users can: view the dashboard, publish new Ad, manage their ads, edit public profile, manage privacy settings, change the password, delete the account or log out. That is quite a lot of functions, but you do not need to use all of them, you can disable the ones you do not want to use. (Please see the documentation for a how-to). Each user has also a public profile (if user selected he wants other users to see his profile), this is a page where users can see the author other ads, details about the author and a contact form which they can use to contact the author. 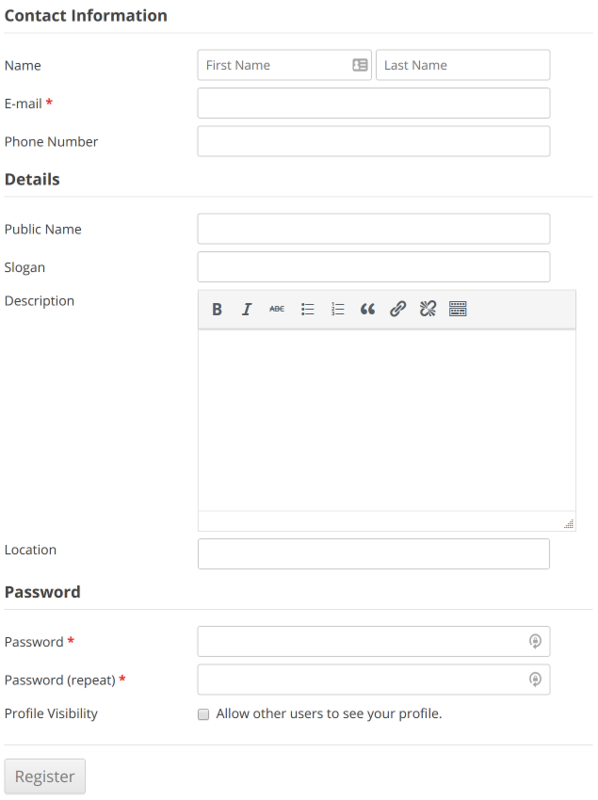 The coolest feature and the one that required most of the work was the integration with Custom Fields extension. 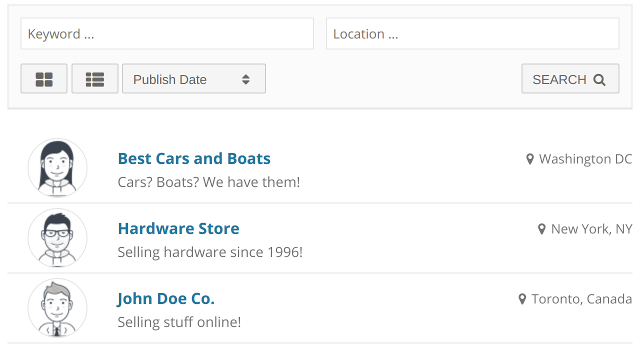 Similarly like with WPAdverts forms you can customize the Authors form (author details, authors search and author contact) using drag and drop interface, so out of the box with the first release you can fine tune the Author profiles and a search form to your needs without writing a single line of code. We also introduced integration with reCAPTCHA extension, if you have both plugin enabled you can go to wp-admin / Classifieds / Options panel and enable reCAPTCHA integration for the Author registration form to prevent spam. The last integration we were working on is the integration with Maps and Locations plugin. By default, users enter their location as a text. With the integration in the Author profile, you can enter the location using the same interface you have enabled for [adverts_add]. In other words, if your [adverts_add] form is using Google Autocomplete helper to enter location the Author registration and edit from will use it as well for the location field. How will this plugin synchronize with buddypress or buddypress profile fields, since buddypress has its own profile management system. While using buddypress I can view the authors of advertisers through the site wide members page and also this new authors plugin. I am afraid the Authors will not sync with BuddyPress, if you are using BP then you can just install the WPAdverts BuddyPress Integration and will have pretty much the same functionality as with Authors as BP already handles the user management. In other words with BP and WPAdverts BP you will have the same functionality as with the Authors plugin except the user will manage his account from BP profile. Hello! Please tell me if this extension also manage the private messages or only with buddypress extension? Hi, i am afraid the Authors extension does not allow to exchange private messages, the plugin does not have such functionality.